LexMedia is proud to announce exhibition of Dr. Java Joshi’s art work at our studios. Java has received several accolades in addition to earning a Masters in Fine Arts and a Ph.D. in Drawing & Painting. Early in her career she was influenced by Intuitive Abstract Expressionism. 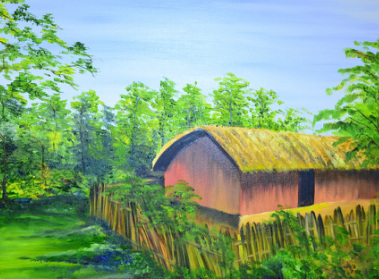 The collection showing at LexMedia includes pieces from her abstract collection as well as work based on the theme of an “Indian Village” that depicts different aspects of the rural lifestyle in India. Java’s style of using bright and vibrant colors allows her to express her imagination in a way that is refreshing & eye catching. You are invited to attend Dr. Java Joshi’s reception at LexMedia on June 22nd From 5 – 8pm.